It’s a sad day for Israel. The country’s first ever Moon-bound rover, Beresheet, crash-landed on the surface of the Moon at the time of landing earlier today, thereby ending the mission. According to a tweet by Buzz Aldrin, the control team lost communications with the lander when it was just 150 metres above the surface. Beresheet contained scientific equipment for measuring the local magnetic field and memories of Israel, including the Bible, drawings by children, songs in Hebrew, and a copy of Israel’s national anthem. Beresheet weighed 585 kilogrammes and was smaller than an auto rickshaw in size. It was to touch down autonomously on April 11 but landed too hard on the lunar surface. It travelled around 6.5 million kilometres on its way to the Moon, which is the longest distance travelled to get to the Moon in history. Along the way, Beresheet was to hit a maximum speed of 10 kilometres per second (36,000 kilometres per hour). The rover was developed and constructed at a relatively low cost of $100 million. Beresheet, which means Genesis in Hebrew, blasted off on a SpaceX Falcon 9 rocket earlier this year. The mission was to create an Israeli “Apollo Effect”. In other words, it was supposed to inspire future generations of scientists in the nation to study science, technology, engineering, and mathematics. “No matter what, after 8 years of work, @TeamSpaceIL has ushered in the new era of the space race and inspired a new generation of explorers. 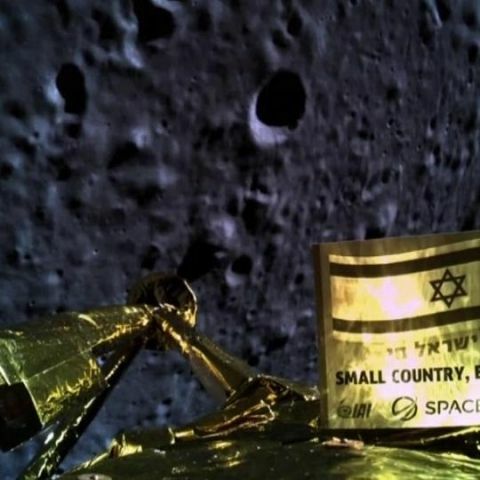 You made Israel the 7th country to orbit the #Moon. You have already made history,” tweeted Embassy of Israel in the USA. How to type the similarity symbol on the computer?